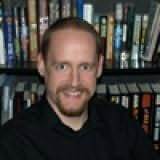 A Nebula Award winner, Hugo Award nominee, and winner in the Writers of the Future Contest, Eric James Stone has had stories published in Year's Best SF 15, Analog, Nature, and Kevin J. Anderson's Blood Lite anthologies of humorous horror, among other venues. One of Eric's earliest memories is of seeing an Apollo moon-shot launch on television. That might explain his fascination with space travel. His father's collection of old science fiction ensured that Eric grew up on a full diet of Asimov, Heinlein and Clarke. While getting his political science degree at Brigham Young University, Eric took creative writing classes. He wrote several short stories, and even submitted one for publication, but after it was rejected he gave up on creative writing for a decade. During those years Eric graduated from Baylor Law School, worked on a congressional campaign, and took a job in Washington, DC, with one of those special interest groups politicians always complain that other politicians are influenced by. He quit the political scene in 1999 to work as a web developer in Utah. In 2002 he started writing fiction again, and in 2003 he attended Orson Scott Card's Literary Boot Camp. In 2007 Eric got laid off from his day job just in time to go to the Odyssey Writing Workshop. He has since found a new web development job. In 2009 Eric became an assistant editor for Intergalactic Medicine Show. Eric lives in Eagle Mountain, Utah.